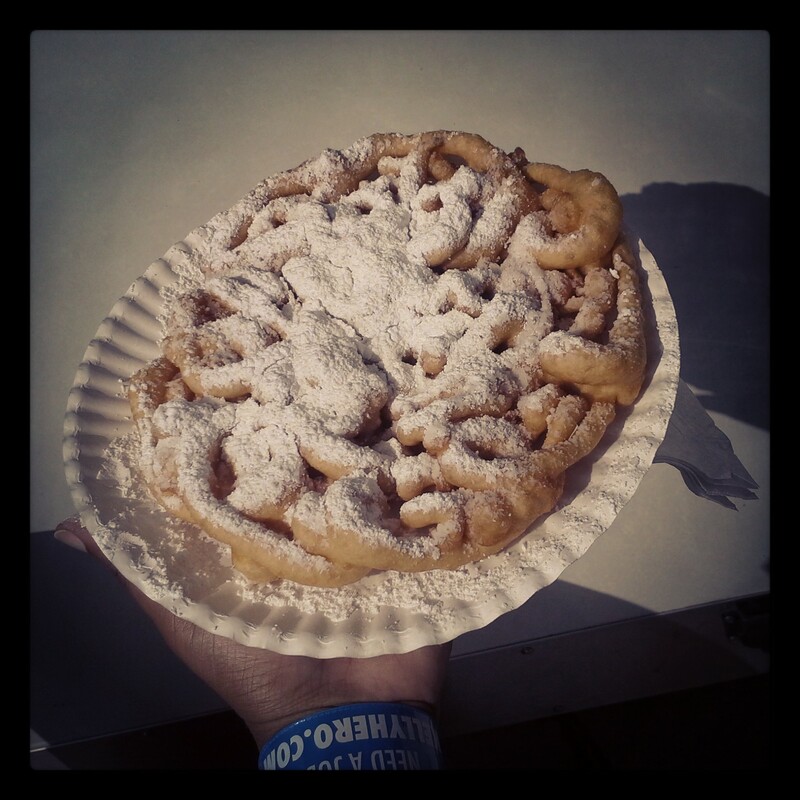 Funnel cake because it’s time for the Kentucky State Fair. It’s the most wonderful time of the year, guys. The Kentucky State Fair is in full swing. This year’s fair runs Aug. 20 through 30. Find out all the info about admission and hours here. I’ve documented my love affair with the fair for the past five years, so I won’t waste time running my list of reasons why you need to set aside some time to make it out to the Kentucky Fair and Expo Center. But I will mention one event that’s worth making a trip to the fairgrounds this evening. I will be one of a great group of judges at this year’s 30th annual Evan Williams Cooking Contest, at 6 p.m. today, Aug. 21, on the Gourmet Garden culinary stage in South Wing Lobby A of the expo center. The competition pits amateur and professional chefs against one another to find out who can prepare the best entree, soup, stew, barbecue or casserole that features Evan Williams Kentucky Straight Bourbon Whiskey. The Courier-Journal reports that there will be more than 80 dishes entered in the competition. That’s a lot of eatin’, friends. But someone has to judge these dishes, and I’m the lady for it. And you know I love judging a cooking competition — it’s like Chopped come to life.